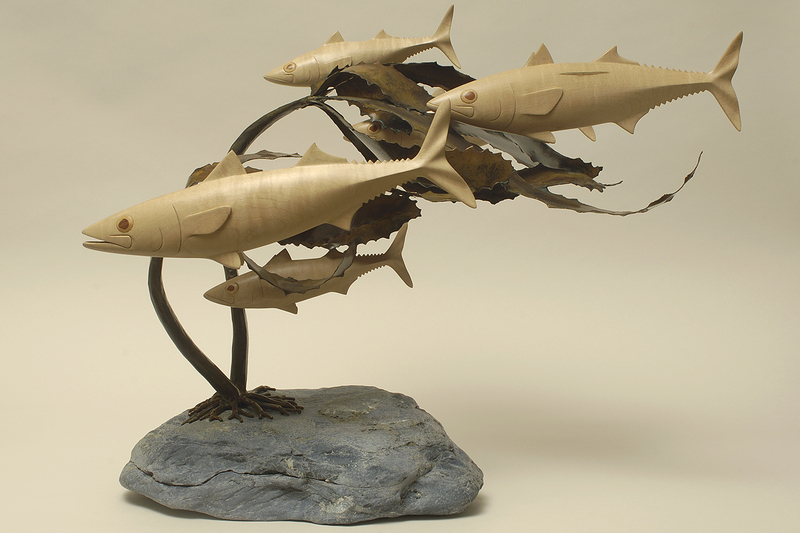 “Kelp Fish” features a school of mackerel swimming through kelp. The flow of the piece is representative of the dramatic amount of water movement and wave energy present in the coastal environment where this combo can be found. 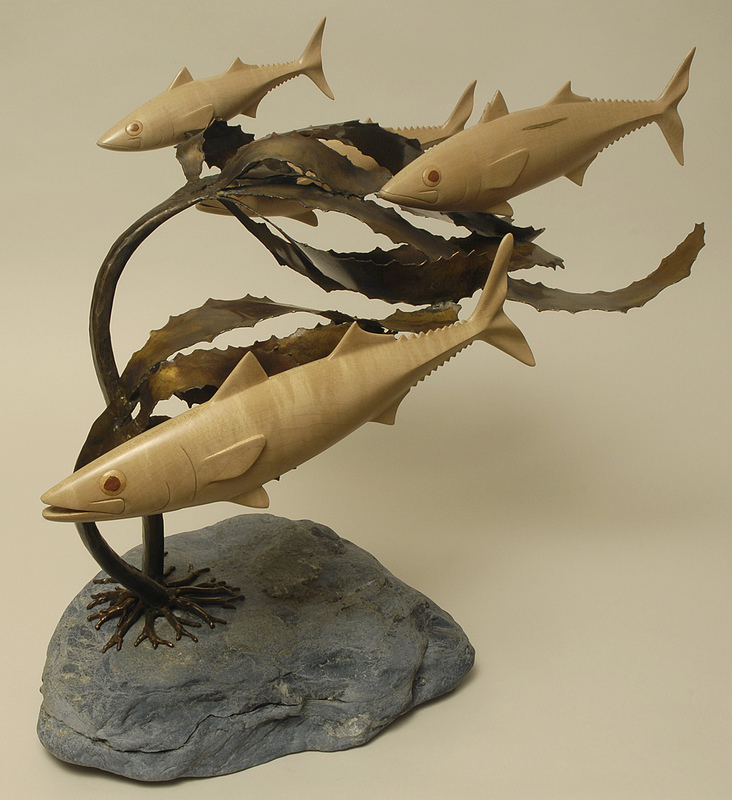 The mackerel are carved out of curly maple, which naturally has a wavy grain that hints at their striped patterning. The kelp is forged and welded of bronze and attached to a stone base.